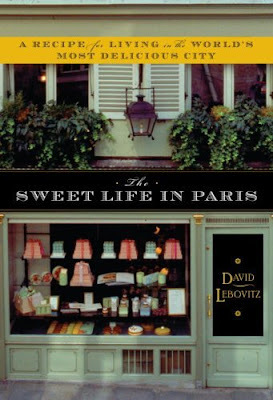 I read David Lebovitz's The Sweet Life in Paris* cover to cover this morning. Plot summary: San Franciscan and Chez Panisse pastry chef loses his longtime companion, falls into a depression, decides to shake up his life, moves to City of Light, acquires a funky apartment with a tiny kitchen, and slowly comes to understand and even embrace bizarre French mores. We learn that coffee in Paris is horrible, that you must always greet shopkeepers formally and politely, jogging shoes are now cool especially if they're purple, "preservatifs" are not "preservatives" but "condoms," and that Lebovitz is a big fan of Daniel Craig. Very cute book. I enjoyed it thoroughly. Now, I have a dilemma. We're going to dinner at a friend's house tonight and I'm supposed to bring an appetizer. Lebovitz has a recipe for a cake aux lardons et fromage bleu that intrigues me. I typed the French name first because it sounds better than the translation which is bacon and blue cheese cake and does not make me hungry. Here's a description: "A departure from their sweet American counterparts, these savory quick breads are welcome served as an hors d'oeuvre before dinner, thinly sliced, with glasses of cool Muscadet or a snappy Sauvignon." That sounds kind of good, right? Or does it just sound weird? Thoughts? *I've been calling it "Living the Sweet Life in Paris" because that's title on my galley copy. I apologize for the error. I think it sounds good, especially if also bring the snappy Sauvignon. Can't wait to hear how it comes out! It sounds great. Bacon and blue cheese are dependably delicious. i also think it sounds great. though it makes me also want a non-bread option, is that a possibility? two appetizers? maybe the other one could just be really nice olives? Love it! I used to make a version with green olives, gruyere, and ham when I lived in France. 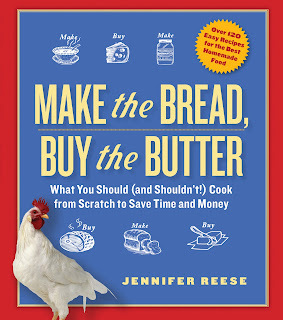 Ooooh, gotta go whip some up right now! Sounds good. Give it a shot and report back. Your blog is one of my "must reads." I've also made the olive, gruyere and ham variety that Philomere mentioned, and it's wonderful. Bacon and blue cheese seem like a good savoury cake combination. Can't wait to hear your experience if you made the savory cake. I read about a savory quickbread in Bon Appetit with bacon and dried pear and other things and it sounded so awesome I turned the East Coast upside down looking for the dried pear and eventually a friend sent it from NY. I should have just eaten the pears. The quickbread was a deep disappointment, despite the fact that given a choice between sweet and savory, despite my adoration of all things dark chocolate and/or sugar-fruity, savory would win every single time. But the quickbread? Total loser. I'd love to see a savory thing like that make a comeback in my book. How could that possibly not sound good? I need to get the Sweet Life book for David for our anniversary. I have one day to find it. No Amazon.com allowed. Kombucha: You know what bugs me?